Dropping my smartphone and cracking the screen is something that worries me a lot. It had never happened until the morning that I can still see in slow motion. I was standing in the hallway of our elementary school. Suddenly, the phone slipped between my hand and my son’s hand. I stood there and watched helplessly as my smartphone went flying from several feet in the air to the marble floor below. Typically, I put phones into something immediately, but had not had a chance for this one. As I picked it up off the floor, I held my breath. I was so very lucky, that phone only had a small little crack in the corner and it has not spread. When my precious Samsung Galaxy S5 arrived, I wasted no time and went to our local Verizon Wireless store before I activated the phone. At the time, the phone had just been released and there were not a lot of cases. I still knew just what I wanted to purchase. Since I knew my boys would be using it with me, the Defender by OtterBox was calling my name. This case has saved my phone more than once. We are big OtterBox fans for our tablets and my first run with a phone case has been impressive. Now imagine being able to cheer on your favorite NFL team while protecting your prized phone at the same time. Thanks to OtterBox and and the NFL pairing up – Verizon Wireless website, football fans from all 32 teams may purchase a Defender by OtterBox for their iPhone 5/5S, Galaxy S4, and Galaxy S5. 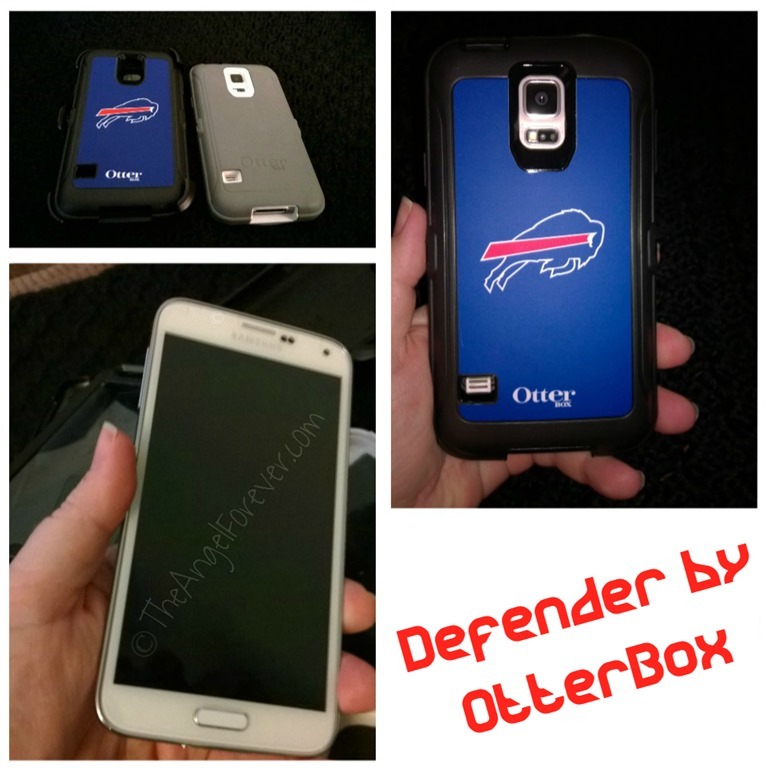 Thanks to #VZWBuzz, I received a Buffalo Bills case to dress up my Galaxy S5 for football season. Since it’s the same great Defender series by OtterBox, I can let up on my defense mode to let my kids touch my phone. Oh and for those with a tendency to be butterfingers, I am able to let down my guard about fumbling my Galaxy S5. It’s also fun to see closet Buffalo Bills fans notice my case and give me a thumbs up. It isn’t every day that someone in New York can brag about a winning record in Buffalo (5-3 at the moment). Which team OtterBox are you looking at and what would you love to see next? If you are a Verizon Wireless customer, be sure to login to your account. When I look at mine right now, the OtterBox line is 25% off. If the NFL is not your thing, there are plenty of other great accessories available. Those with an iPhone 6 can check out the OtterBox Commuter Series supporting HopeLine from Verizon Wireless during Domestic Violence Awareness Month. There are additional items for the rest of October in purple for HopeLine like the LG Tone Pro headset on Verizon Wireless that I have been eyeing. As always, please consider donating phones that you are not using to HopeLine from Verizon where they will get the refurbished devices with 3,000 minutes and texting to survivors of domestic violence that are with participating domestic violence agencies. 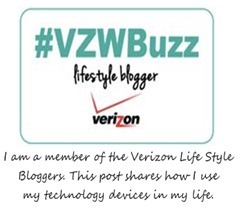 Here’s the VZWBuzz Recap from October 10, 2014 with TheOnlineMom about HopeLine from Verizon. Have you ever donated a phone to HopeLine? If you have I would love to know your experience. If you have not, please look at the information and consider helping this amazing cause. 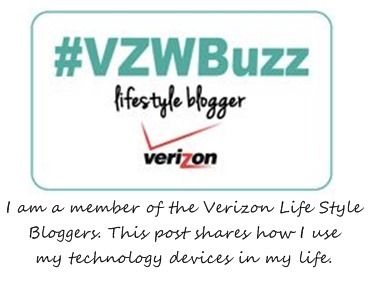 Disclosure: As a member of the Verizon Lifestyle Bloggers, I receive devices like the Samsung Galaxy S5 and accessories like the NFL Otterbox to test out and share ways that I use it in my life. I am a long time Verizon customer, and all opinions are my own.